1. Heat a pan and dry roast all the ingredients under ‘To dry roast and grind’ section. Let it cool and then grind it into fine powder in a blender/mixie. 2. Heat oil in pan and add mustard seeds. Once it splutters, add nigella/kalonji seeds, bay leaf and cinnamon stick. Saute till bay leaf turns brown. 3. Then add chopped onion, ginger garlic paste and half the salt. Saute and cook till the onion turns light brown. Only if the onion cooks well, would it get dissolved and form a smooth and thick sauce. 4. Once onions cook well, add turmeric powder, red chilli powder, garam masala, pepper powder, coriander powder, cumin powder and the ground spices. Saute till the raw flavor of the spices goes off. 5. Now add the tomato paste/puree. Add little water and cook till tomato puree cooks well. The tomato and onion should mix well and you will know it is done when the oil starts to separate. 6. Now add the chicken pieces(2 inch sized) and remaining salt. Mix well. Let it cook is medium flame. Close the lid for faster cooking. 7. Add water as desired. Continue to cook till the chicken is done. Saute occasionally. 8. Once chicken is done, add yogurt and give it a good mix. Let it cook for another 4-5 mins. Remove from burner and garnish with chopped coriander leaves. 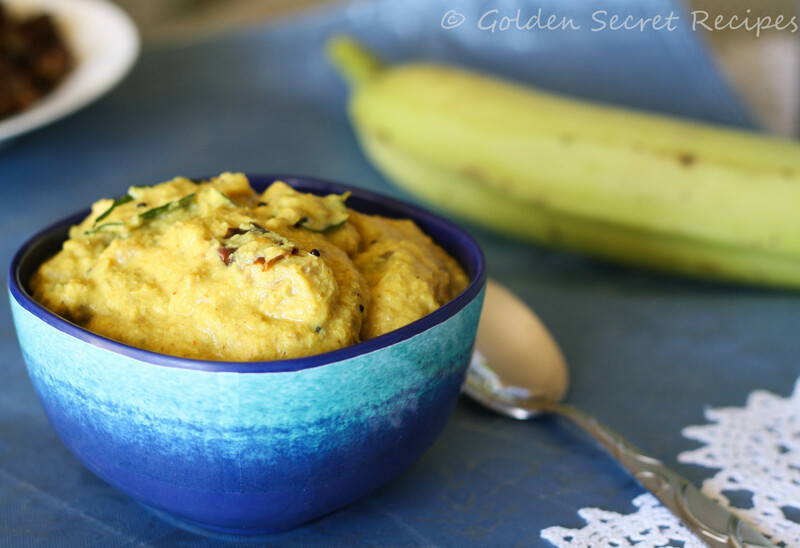 Serve with chappati or naan or jeera rice. You could also use the dry version of this as stuffing for various items. NOTE: If you want the sauce to be more tangy, once you grind the spices(Under ‘To dry roast and grind’ section) , mix it with lime juice(of half a lime). I have found Thai cuisine to be very similar to our Kerala cuisine. It could be the usage of coconut milk and spicy green chillies that establishes the connection for me. Having said that, there are lot of differences too. For instance, the kind of rice used is so different that the taste changes drastically even if you have it with the same curry. 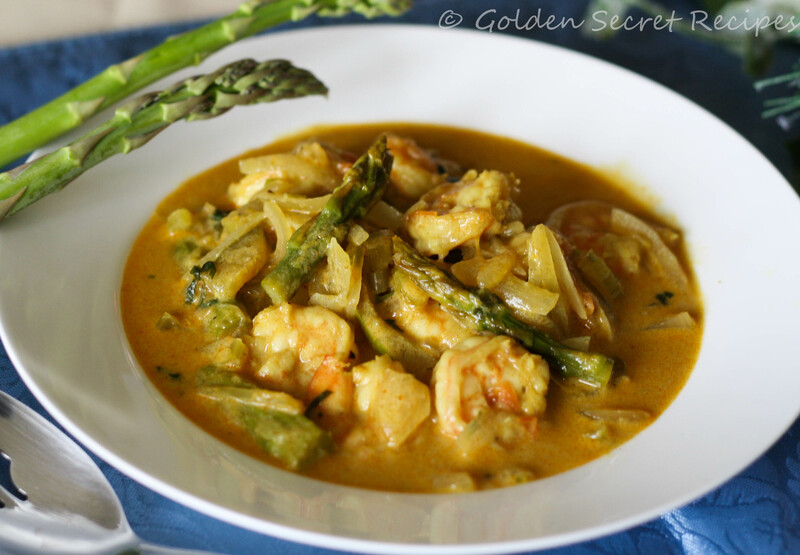 This yellow curry is very easy and is very close to the authentic Thai yellow curry. However there could be variation in the taste. 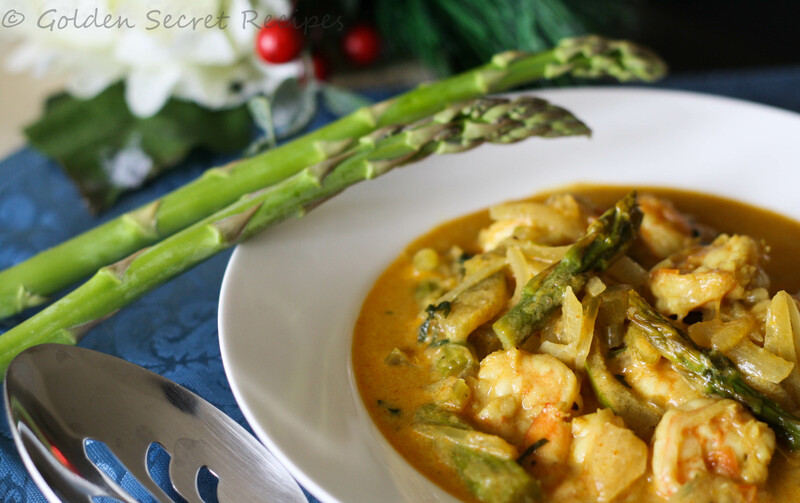 What I liked the best in this curry is that fresh taste out of a shrimp curry. We rarely use celery, asparagus or basil leaves in our preparation. The flavors that these vegetables add is so distinct, that you would really enjoy the ‘NEW’ curry that you experimented. 1. Clean and wash the shrimp and keep aside. 2. Heat oil in a pan and add sliced onion and ginger garlic paste. Once the rawness of ginger garlic paste goes off, add sliced green chilli, turmeric powder, red chilli powder, curry powder(or the spices under ‘Optional Ingredients’ section). 3. Saute it for a min or two. Then add sliced tomato. Cook till tomato is done well. 4. Chop asparagus into 3 inch long pieces and add it to the pan. Let it cook for 4-5 mins. 5. Add sliced bell pepper/capsicum, celery and basil leaves. Saute and cook in medium heat for few mins. The vegetables shouldn’t get fully cooked. It should have a crunch. 6. Add the shrimp and salt and saute till it turns light pink. 7. Now add water(about 2 cups) and let it boil. Once it boils, add coconut milk and stir well. 8. Once it boils, remove from heat and garnish with chopped coriander leaves. Serve with rice and hot sauce. NOTE: Usually I put the salt along with onions. But here if you notice, I have put the salt along with shrimp. The reason is simple. Salt will take out the moisture from onion and the vegetables quickly and leave it soft whereas for this recipe, you want the vegetables to have a crunch and not get fully cooked and soft. Well, having said that, even if you haven’t heard of this dish, this is a ‘must have’ dish in your Sadya Ila(Banana leaf). 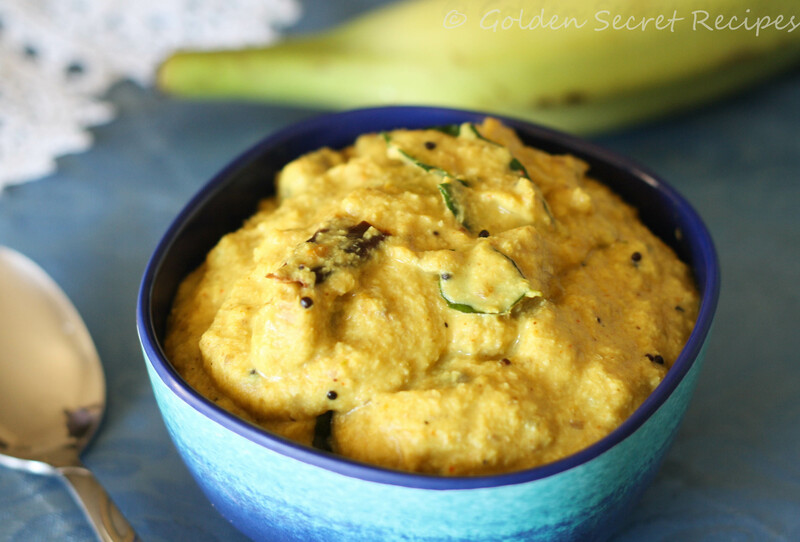 Kalan has been my favorite among all the other sadya vibhavangal(Dishes made for Onam). The other day, I served this dish to our friends who don’t belong to Kerala and I was pleasantly surprised that they absolutely loved the dish too. 1. In a saucepan or a steel/aluminium vessel, using very minimal water(about 3/4th cup), boil yam and raw banana. For this, first put cubed yam since it takes more time to boil. After about 5-6 mins, add cubed raw banana. 2. To this add red chilli powder, turmeric powder and half the amount of salt. Cover with a lid and let it boil in medium flame. Stir occasionally so the vegetables don’t stick to the bottom of the vessel. Add little water if it becomes too dry. The vegetables should become really soft so it can be mashed coarsely. 3. Meanwhile, in a blender/mixie, put all the ingredients mentioned under ‘To grind’ section and make it into a smooth paste. 4. Once the vegetables are cooked, add the ground coconut paste and stir well. Using a spoon, mash the vegetables coarsely. 5. Let it cook for 3-4 mins and then add yogurt and mix well. Add the remaining salt, cook for 2-3 mins and remove from the burner. 6. Now add the ground black pepper and roasted fenugreek powder and give it a mix. 7. Heat oil in a pan. Add mustard seeds and when it splutters, add broken dry red chilli. Once the red chilli turns light brown, add curry leaves and garnish the prepared curry with this seasoning and give a mix. Note: You must be wondering why I have put ‘Rice flour’ in the ingredients list and never used it. Kalan should be ideally a thick and rich gravy and not very loose. In case you accidentally add more water for boiling the vegetables or your yogurt is too thin and the curry looks watery, add the rice flour to thicken the gravy. You can add rice flour after you put the ground coconut paste and let it cook for 4-5 mins and then add the yogurt. Once you put yogurt, don’t cook for long and don’t cook in high flame else the yogurt will curdle. Also stir frequently after adding yogurt. 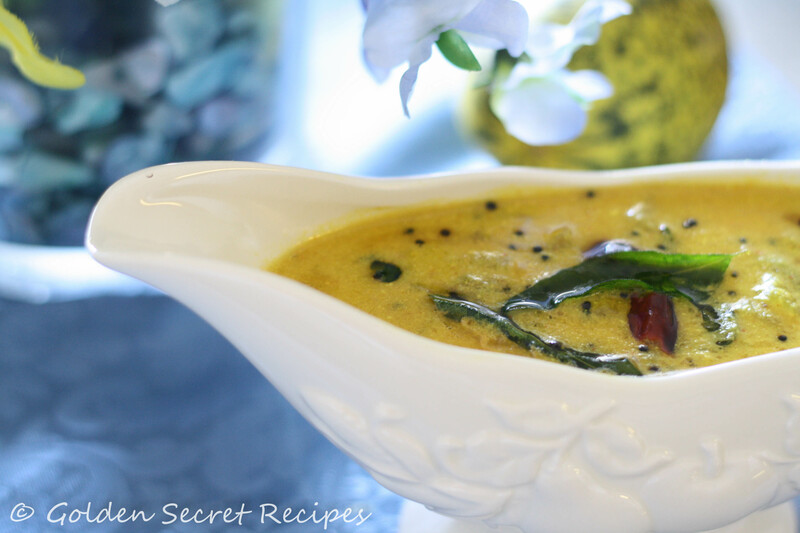 TIP: Now this is a Golden Secret recipe tip for you 🙂 If ever, for any of your south Indian cooking, you feel that your gravy is too thin and you want to thicken the gravy, add little rice flour and you will see the magic. Don’t worry, it doesn’t change the taste at all 🙂 This for sure was a very useful tip I got from my mom and it comes in very handy when something doesn’t go right! Another one of my Onam sadya favorites. 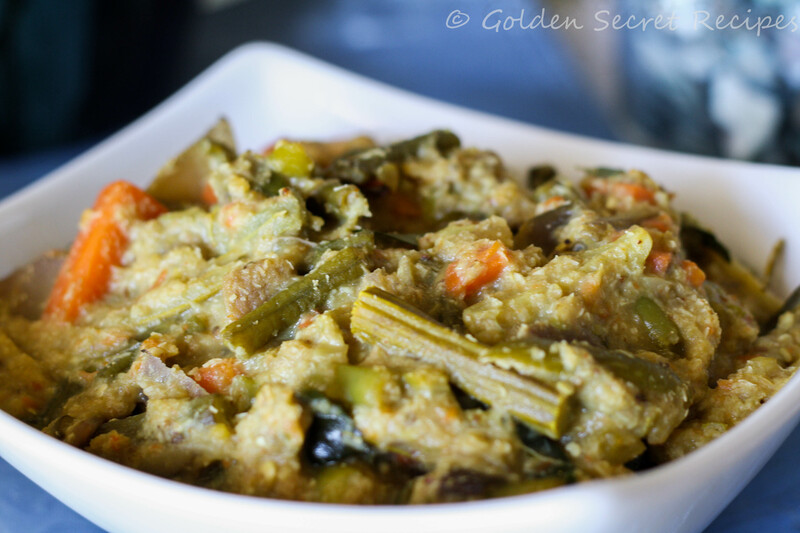 Avial is a dish made of all possible vegetables. There is no restriction to which vegetable you could use or which one not to use. 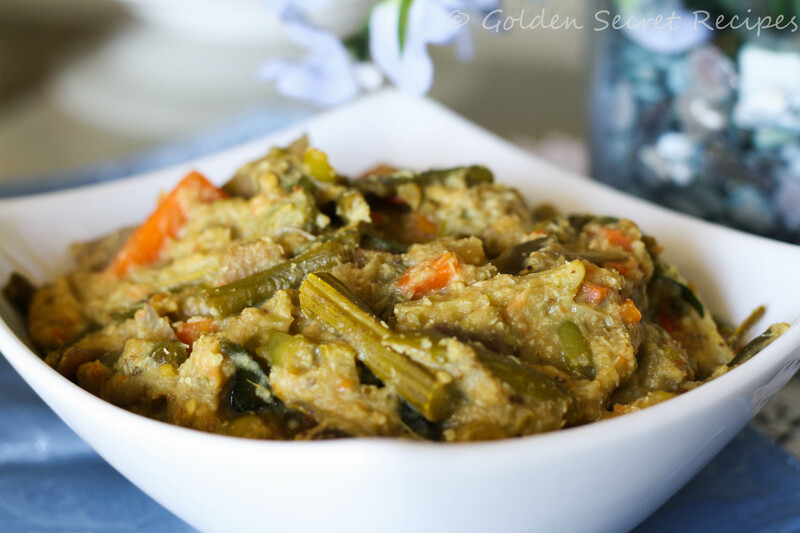 You can make avial with all your left-over vegetables and turn it into an amazing side dish that you can enjoy with rice. 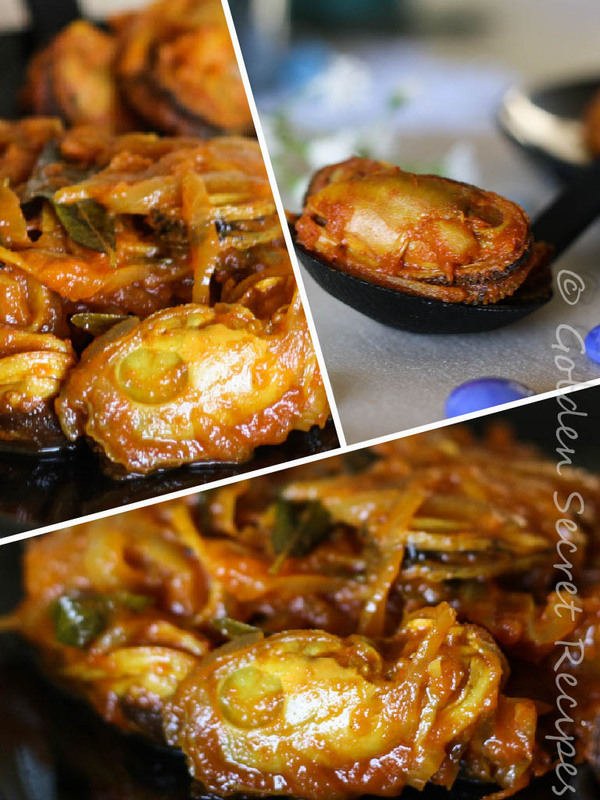 Having said that, I have listed few of the vegetables that are most commonly used for making this dish. 1.Cut the vegetables lengthwise of similar length and size. In 1/2 cup water, put turmeric powder, chilli powder and half the salt. Boil all the vegetables. Note: When you boil the vegetables, you have to be a little careful. All the vegetables need to be cooked evenly. So first put the vegetables that need more time to boil. For e.g. Drumstick and yam would take the most time. So put that first and after 5 mins put raw banana, carrot, long beans and beans. Again wait for 5 mins and then add all the other vegetables. Covering the lid will help the vegetables to cook faster. 2. Stir occasionally so that the vegetables don’t stick to the bottom of the pan. Add more water only if required. Avial shouldn’t be too watery. Note that the vegetables will also leave out some water while cooking. 3. Once the vegetables are half boiled, add sliced tomato and cut mango slices and curry leaves. 4. While the vegetables cook , grind the ingredients mentioned under ‘To grind’ section. Use water to grind it to a smooth paste(apprx. ¼ cup water or little over that). 5. Add this ground paste once the vegetables are cooked well. Mix well. 6. In medium-low flame, cook for 3-4 mins and stir occasionally. 7. In this recipe you need to add either raw mango or yogurt. I prefer the sourness that comes from raw mango. However, if you don’t have raw mango, add yogurt at this point and mix well. 8. Cook for another 2 mins and add remaining salt and garnish with coconut oil and give it a good mix. Note: Avial should be a little sour. The sourness can be achieved by adding tomato, yogurt or raw mango. So either you can use yogurt and mango as per your liking. Usually, if it is summer and you get good sour mangoes, using mango will be a better choice. 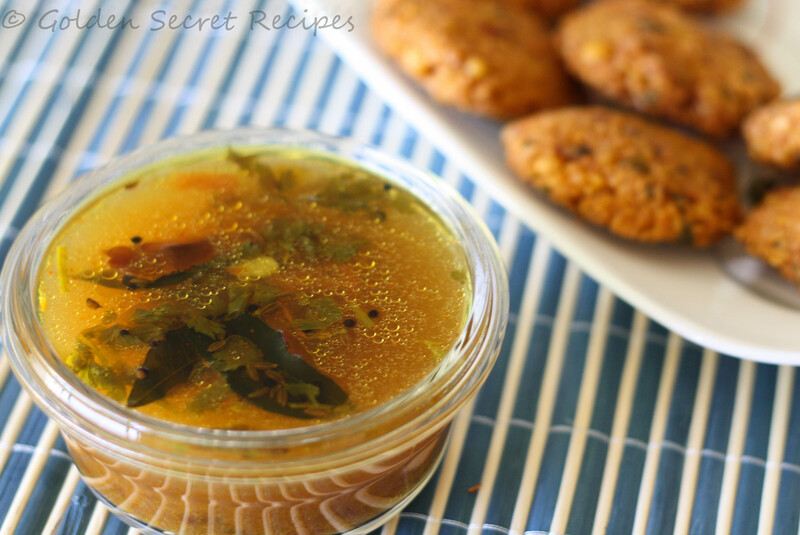 Rasam is one of the easiest thing to make at home. Our generation is so used to the ready made powders available at stores. Of course it comes handy and yes, definitely it tastes good 😉 Its just about finding the right brand! Though I know the advantages of using ready made powders, I often find our generation in an ignorant state of not even know what basic ingredients go into making it. It makes me wonder. We got whatever we know today from our parents, they got it from theirs and so on. However, tomorrow, will we really have enough information to pass to our later generations!! So, here is a small beginning. I would encourage all of us to try and know the main ingredients that go into making most dishes. The easiest dish to start with, probably is rasam. 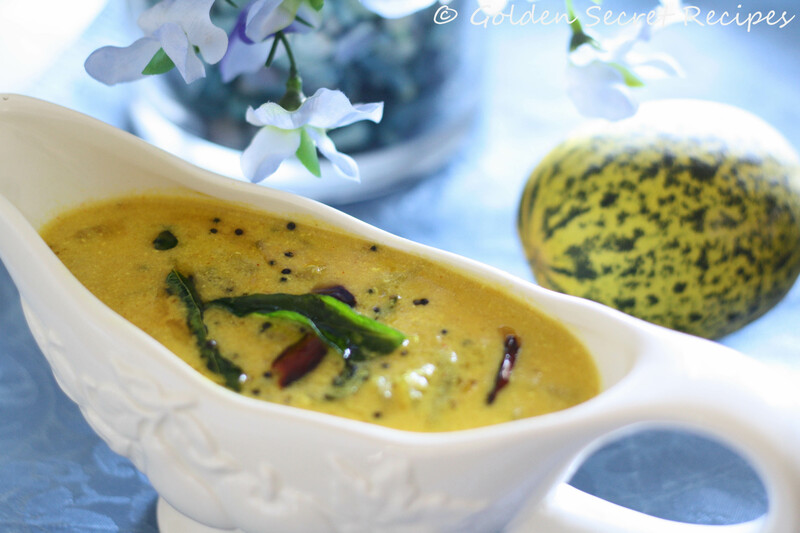 So here is a simple recipe of one of the most common, popular and healthy South Indian soup. I realized after interacting with other South Indians(non-Keralites) that there can be various varieties of rasam. 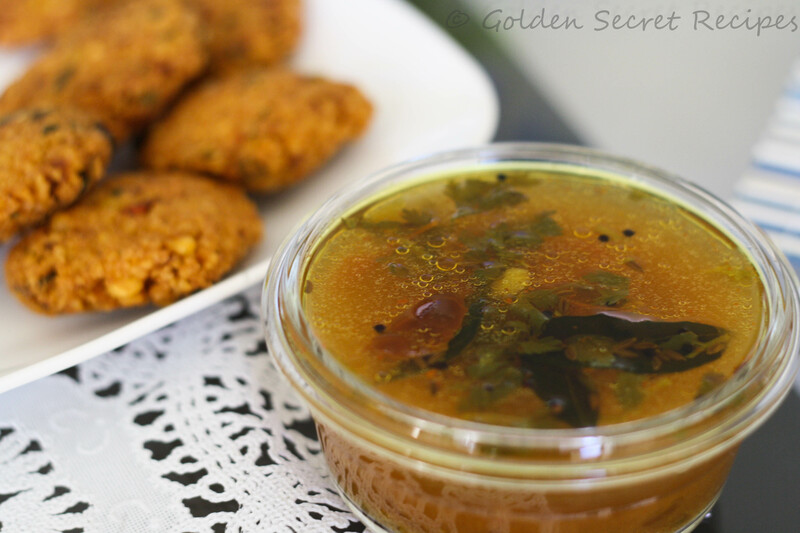 However, in Kerala, there is only one type of rasam and here is the recipe for that. If you have a cold, put more pepper powder. Rasam helps in digestion too. 1. Squeeze the tamarind well and take the extract. Crush ginger and garlic using a mortar and pestle. 2. In water, boil thinly sliced tomato, tamarind water, crushed ginger and garlic, curry leaves, red chilli powder, turmeric powder, asafetida, pepper powder, cumin powder and salt. Let it boil well. 3. Then add coriander powder. Continue to boil for 7-8 mins. Remove from heat and garnish with chopped coriander leaves. 4. Temper it with some crackled mustard seeds, cumin seeds, dry red chilli and curry leaves. Use coconut oil for authentic ‘naadan’ taste. So when I first spotted mussel in the Ranch market, I had no clue if I should buy it ‘coz I knew the difficulty in cleaning this thing and I didn’t have any particular recipe in mind. That day I decided not to buy it. However, the very next week, I found myself craving for it. 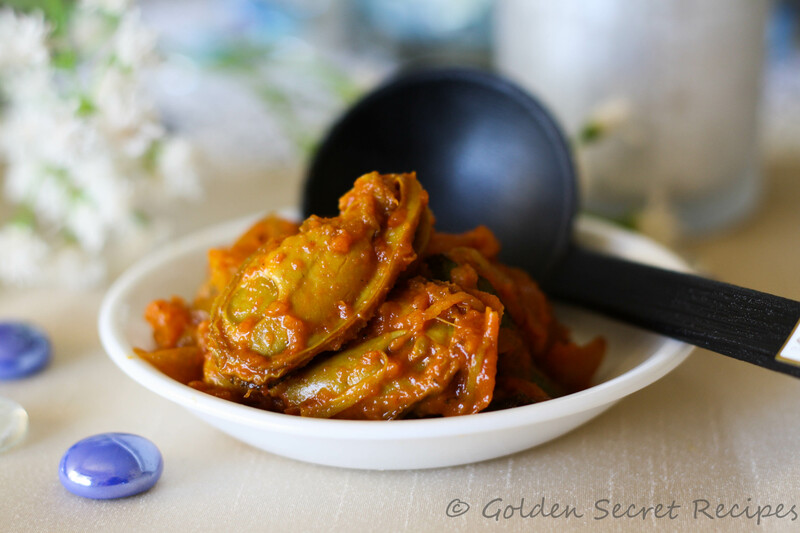 I know I used to like the fried version of mussel better, but I vaguely remembered my dad and brother liking the ‘mulagu aracha’ version of it. So I made both version. You can find Mussel fry recipe here. 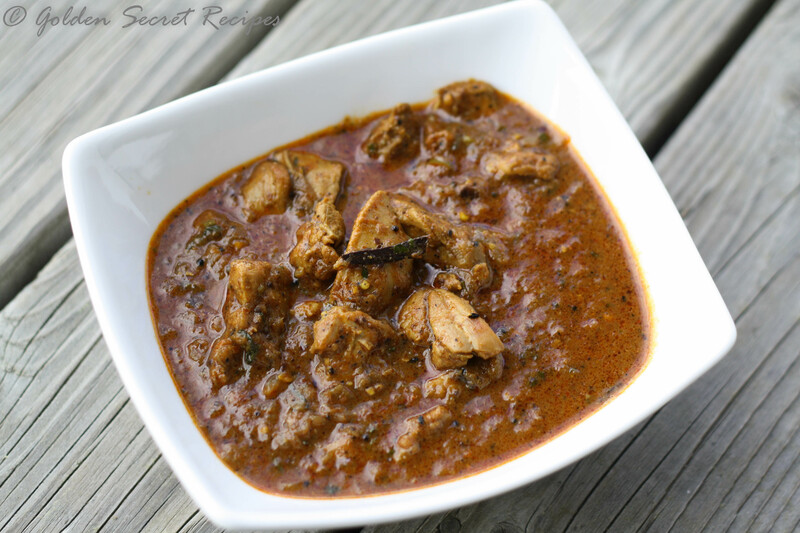 Mulagu arachadu means, a curry primarily made of ground red chilli. This is no fancy dish. The beauty and taste of this dish is the simplicity of its preparation style. This is probably one of those items where you can just relish the goodness of a seafood by not altering/replacing the actual flavor it offers by the strong flavors of other spices. 1. Clean the mussels by removing the mud in it. Wash thoroughly and keep aside. 2. In a mixie/blender, grind shallots, red chilli powder and garlic into a fine paste. 3. Heat oil in a pan. Put sliced onion, ginger juliennes and curry leaves into it. Add salt at this point. 4. Once the onions turn pink, add the ground masala. Saute till the masala is cooked well. 5. Add sliced tomatoes and sauté till tomatoes are cooked. 6. To this add washed mussels and cook in low-medium flame. 7. Saute occasionally. Add little water and cook covered till mussels cook through. 8. You will know when the mussels are cooked when it becomes very soft and you can tear the center portion easily. Mussels are a little chewy even when cooked well. 9. Garnish with some chopped coriander leaves. I remember the first time I had this dish very distinctly. 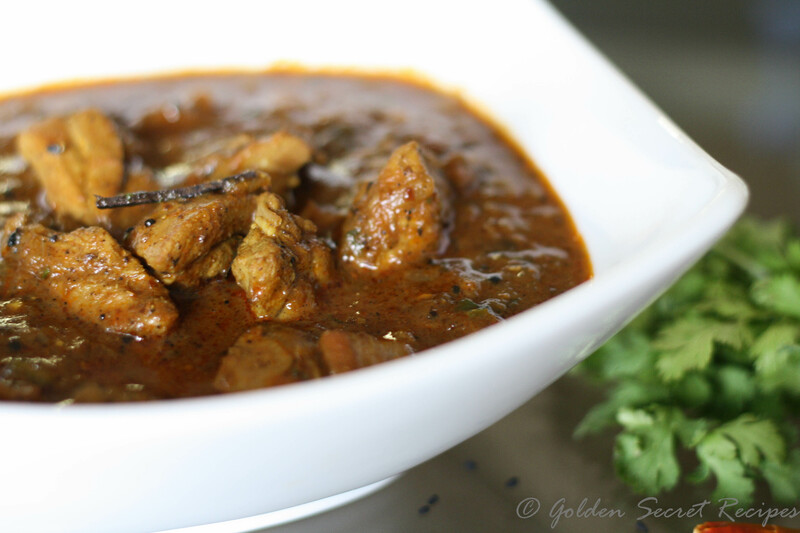 Making pulisherry or moru based curries was not uncommon in our home. But during one of our summer vacations, during our visit to my paternal grandparents home, I had this curry for the first time. And I liked it so much, that though at that time I didn’t know what this was made of, I remembered that it was a soft yet crunchy and a sour vegetable and I remember asking my mom to make this same moru curry once we went back home after vacation 🙂 But the tastiest version of this moru for me is still the version my cheriyamma(my grandma’s sister) used to make. She passed away a decade or more ago and I never got a chance to ask her this recipe, but I want to dedicate this imperfect version of vellarikka pulisherry to her! 1. In a saucepan, put 1.5 cups water, turmeric powder, salt and cubed cucumber. Let this boil in medium flame. 2. Grind the grated coconut, shallots, green chillis and cumin seeds into a smooth paste in a mixie/blender. The paste shouldn’t be too watery but thick. 3. Wait till the cucumber is cooked well. You can speeden this process by covering the saucepan using a lid. Add little water if required to avoid cucumbers from burning/sticking to the pan. 4. Once the cucumber is cooked through(it becomes translucent), add the ground paste into it. Now add water to make it into a thick gravy. Let it boil for 4-5 minutes. Stir occasionally. 5. Add beaten yogurt to this and keep stirring in low-medium flame. Cook for 4-5 mins and remove from heat. 6. In another pan, heat coconut oil. To this add mustard seeds. Let it splutter and then add dry red chillies(broken into 1 inch pieces). Add curry leaves and let it splutter. Add this to the prepared pulisherry/moru. Serve with white rice and stir fries. 2. Do not heat the curry in high heat once you pour curd/yogurt. This will cause the yogurt to curdle. So heat for a short time and stir continuously.